take a minimum of 30 Rolf Movement credits/class days through workshops, three days of which can be an independent study project or mentorship, over a period of up to six years. The intensive modules are taught in Boulder, CO. Workshops are taught in different regions of the country. Why become Rolf Movement Certified? Rolf Movement Certification Training is a distinct and complimentary program to the Basic and Advanced Rolfing Structural Integration programs. Expanding movement education reflects the increased role that an understanding of gravity orientation, perception, coordination, expressivity, and nervous system regulation plays in determining lasting shifts in posture and function. Further, teaching Rolfers™ to understand, embody, and articulate these perspectives serves the greater DIRI mission to educate the world about Rolfing Structural Integration. Rolf Movement Integration is still a young field but one which distinguishes Rolfing from other brands of structural integration. Rolf Movement Integration links ongoing discoveries in the study of neuroscience and motor patterns to the legacy of Dr. Rolf. Training through intensive modules or workshops. The Rolf Movement Certification Program is offered in different formats in order to meet the needs of students. For Basic Training students in Boulder, CO, the two-part, intensive modules can be taken during the intervals between Phases I and II and Phases II and III, allowing a student to complete certification both as a Rolfer and as a Rolf Movement practitioner. Students, who are already Certified Rolfers, may also find the intensive format more conducive to their schedule. Rolf Movement workshops respond to the need for longer class time to accommodate the scope and depth of an expanded curriculum. Understanding movement requires thoroughness in one’s own embodiment and a personal relationship to the varieties of coordinative patterns that clients present. To meaningfully address working with embodiment, Rolf Movement Integration courses emphasize experiential learning and represent an immersion-based approach. The workshop format allows for time between segments to further embody and apply the work in one’s practice. It also shortens the time students must be away from home. Do the modules or workshops need to be taken in any order? For the intensive program, students must take modules A and B in that order. If a student would rather take the workshops, s/he can begin at any point in the rotation of offered workshops. Each course deepens one’s immersion in the work, and leads to a clearer understanding of a model that contrasts markedly with conventional thinking about body function. The learning is recursive in nature, rather than linear: the process mimics learning to live in a foreign culture more than it does only the acquisition of skills. Each student as they move through their chosen progression of courses consults with his/her instructors to see how the various topics are building integrated embodiment of the work. The open, flexible format allows students to find their own continuity within the program. This may include receiving credit for approved courses taken in regions outside the U.S.
Can I take workshops or modules for CE instead of towards certification? Yes, workshops can be taken for CE credit or towards certification. A Rolfer can also take classes only for CE credit and later decide to apply that credit towards Rolf Movement certification. Intensive modules can only be taken as credit towards certification. Basic Training students must have completed Phase I prior to Module A. Basic Training students must have completed Phase II prior to Module B. Open to all Certified Rolfers (in good standing). There may be opportunities for Basic Training students who have completed Phase II to train for their Rolf Movement Certification. Consult with Rolf Institute staff for more information. * Additional prerequisites may apply. Expanding movement education reflects the increased role that an understanding of gravity orientation, perception, coordination, expressivity, and nervous system regulation plays in determining lasting shifts in posture and function. Further, teaching Rolfers to understand, embody, and articulate these perspectives serves the greater DIRI mission to educate the world about Rolfing Structural Integration. The Rolf Movement Certification program, offered as two 15-day, intensive modules, focuses on the ten-session framework through an embodiment training in coordinative, perceptual and expressive structures and is taught in Boulder, CO. Students must take both Module A and Module B – for a total of 30 days of credit – to be certified as a Rolf Movement practitioner. Through a lens, based upon the Ten Series and experienced through embodied movement, students will learn theory, skills, and processes to work with client’s coordinative, perceptual and expressive structures. These are synergistic to, and essential for, highly successful and integrative fascial work. As Dr. Rolf so keenly understood, and current research supports, these structures must be addressed to evoke and maintain normal functioning and general health. Understanding the Ten Session logic and framework through coordination, perception and expression. Embodied explorations will be a platform for the practitioner to deepen their understanding and effectiveness of the Rolfing process as a whole, as well as session by session. Deepening presence and resonance in clinical relationships. Strategizing and building a series of 3 Rolf Movement Sessions. This will support Rolfers in creating a richer tool-set for meeting the varied needs of clients. The Rolf Movement Certification Program, offered as a series of workshops, focuses on various aspects of a unified movement theory and is taught in different regions of the country. These workshops may be taken independently for Rolf Movement Continuing Education credit from the Rolf Institute. To receive Rolf Movement Certification in this delivery system, a student is required to take a minimum of 30 Rolf Movement continuing education credits/class days, three days of which can be an independent study project or mentorship, over a period of up to six years, plus attend advising sessions. Students can enter the Rolf Movement Certification Integrative Studies Program at any point in the rotation of offered courses. Each course deepens one’s immersion in the work, and leads to a clearer understanding of a model that contrasts markedly with conventional thinking about body function. The learning is recursive in nature, rather than linear: the process mimics learning to live in a foreign culture more than it does acquisition of skills. A faculty advisor interviews each student as they move through their chosen progression of courses to assist in seeing how the various topics are building integrated embodiment of the work. The open, flexible format allows students to find their own continuity within the program. This may include receiving credit for approved courses taken in regions outside the U.S. The Rolf Movement Certification Integrative Studies Program is a response to the need for longer class time to accommodate the scope and depth of an expanded curriculum. Understanding movement requires thoroughness in one’s own embodiment and a personal relationship to the varieties of coordinative patterns that clients present. To meaningfully address working with embodiment, Rolf Movement Integration courses emphasize experiential learning and represent an immersion-based approach. The workshop format allows for time between segments to further embody and apply the work in one’s practice. It also shortens the time students must be away from home. The Associacao Brasileirade Rolfistas (ABR), the European Rolfing Association(ERA) offer a wide variety of workshops, movement trainings, and tutorials. Please contact the ABR and ERA directly for further information. 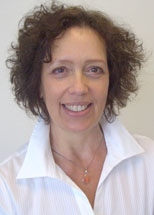 Carol Agneessens, MS. has been practicing the art of Rolfing Structural Integration and Rolf Movement Integration for over 30 years. She serves on the faculty of the Rolf Institute. For the past 10 years, she has been actively engaged in the study of embryology. Carol has come to realize that the primary gestures of the embryo lay the foundation of function and form within the adult. As a Rolfing SI instructor, Rolf Movement instructor and as a teacher of Biodynamic Craniosacral Therapy, her focus includes cultivating an expanded perceptual field, receptive listening, and deepening sensory awareness. She has come to appreciate that these are key factors for sustained transformation within oneself and in working with others. She is the author of The Fabric of Wholeness. (2001), and is currently working on her second book entitled: The Origin of Being: engaging the primal thread. She lives and works in Aptos, CA on Monterey Bay. 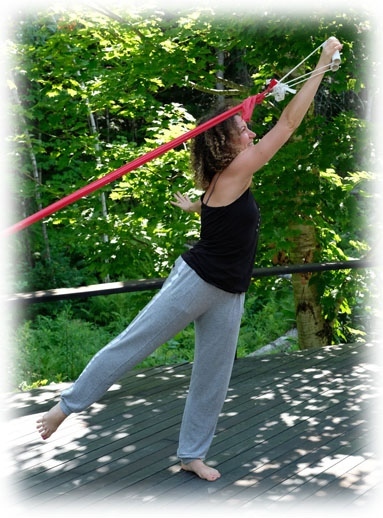 Rebecca Carli became interested in somatic movement studies while pursuing B.A. and M.F.A. degrees in dance performance and choreography. 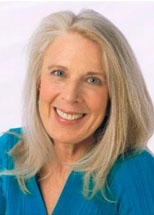 She earned certification in Rolf Movement Integration in 1987 with Janie French and Annie Duggan. In 1989, she became a Certified Rolfer andin 1992, a Certified Advanced Rolfer. In 1994, Rebecca graduated from the Pennsylvania Gestalt Center for Psychotherapy and Training and joined the Rolf Movement faculty of The Rolf Institute. Rebecca’s understanding of gravity and human movement potential has been enriched by her long time studies with Hubert Godard. Godard’s work provides the chief theoretical and practical foundation that inspires her teaching. Additionally, she draws from her interest in the work of Laban/Bartineff, Charlotte Selver, Julio Horvathand various forms of yoga. Rebecca believes that embodiment is a life long process, essential for somatic practitioners. Jonathan Martine was certified as a Rolfer in 1992 and completed his advanced Rolfing certification in 1997. He is a Registered Movement Therapist, Rolf Movement Teacher, Pilates Instructor and has been a Rolf Institute faculty member since 1993. He has been in private practice since 1992. During this time, he has practiced in Chiropractic offices, Physical Therapy clinics, a Pilates studio, a medical-based pain management clinic, and various integrative health practices. This experience has offered a useful perspective on the vast potential of complementary approaches to health and personal transformation. He finds it valuable to see how Rolfing Structural Integration fit into the larger health field and to identify the unique offering Rolfing SI holds. Jonathan continues his study of Rolfing SI and allied health fields to serve his clients and students and to share the "stories" that science holds. He is fascinated with these "stories" as they may clarify aspects of the mystery of transformation, while holding strong to the magic that occurs when the practitioner and client are present and aware of the environment in which we live. Patrice Naparstek trained as a Rolfer in 1993, finishing her Advanced Training and her Movement Certification in 1998. Her interest in embodied and expressive movement has been the foundation for her study from the very beginning, including certification in Laban Movement Analysis, an MFA in performance and Choreography and a BA in Dance Movement Therapy. 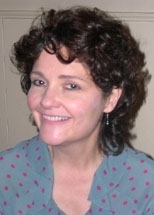 Suzanne Picard has been faculty at the Rolf Institute for 21 years. Her studies include Visceral, Neural Manipulation, and Cranial Work. She is inspired by anatomy and physiology and devoted to cultivating presence and our ability to connect with clients on a variety of levels. Her passion is to blend these aspects and support wholistic vitality in ourselves and our clients. 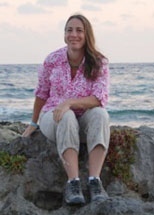 Bethany Ward, MBA is a member of the Basic Training and Rolf Movement Integration faculties. She is past-president of the Ida P. Rolf Research Foundation and was involved in the early development of the International Fascia Research Congress and Fascia Research Society. With degrees in psychology and business, Bethany brings a strong academic and organizational flavor to the work. In the classroom, Bethany helps students develop therapeutic intuition informed by science. Classes engage the whole person, demanding simultaneous curiosity, sensitivity, mental acuity and interpersonal respect. Bethany completed her basic training in 2001 with instructor Jim Asher and her advanced certification in 2005 with instructors Jan Sultan, Tessy Brungardt, and Sally Klemm. She certified in Rolf Movement Integration in 2008, studying with Lael Katherine Keen in Brazil. Other mentors who have strongly influenced her work and teaching include Rolfers Til Luchau, Ray McCall, Kevin Frank and Jane Harrington. 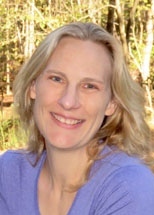 She started assisting Rolfing trainings in 2006 and has been a lead instructor since 2009. Bethany’s private practice is ActionPotential, Inc., (www.rolfusa.com) in Durham, NC. When she’s not writing or teaching about structural integration, she’s taking long walks with her husband or doing yoga with her cats.